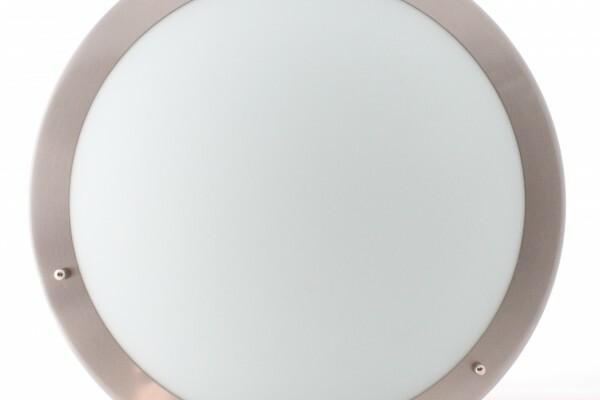 Orbit Four – Decorative Satin Chrome/Frosted glass ceiling/wall lights, are a range of high efficiency IP44 luminaires designed to accommodate 2D or TC-D. 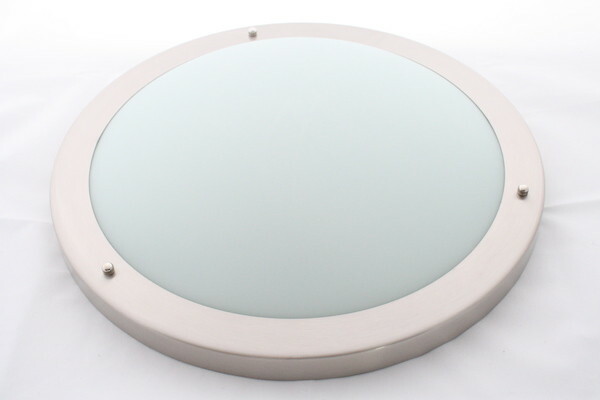 These are suitable for corridors, stairwells, factories and other public areas. Silicon gasket seal to achieve IP44 rating. Microwave sensor & Corridor Function versions are available upon request.